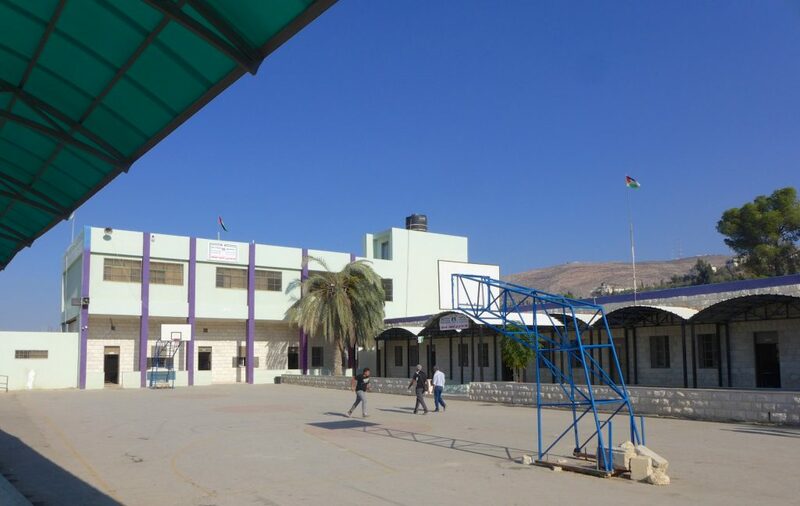 Supporters and volunteers have been helping village schools in Burin and Madama in the West Bank (Occupied Palestinian Territories) since 2010. For a summary of our earlier projects, please click here. After our successful meeting in 2017 and initial small donation, Madama Girls’ School benefited from more OHT funds in 2018. 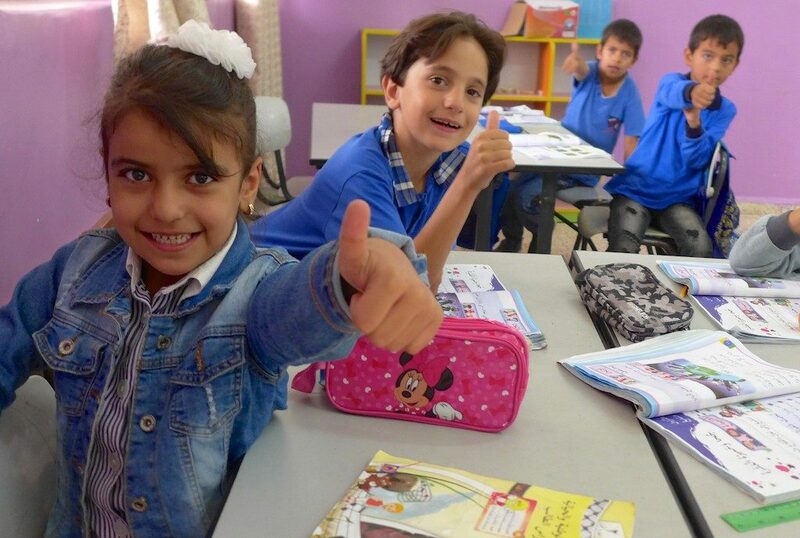 Thanks to her immaculately conpleted paperwork, the headmistress, Nawal Mahmoud Rabay’a, was given £1250 to build a platform in the school playground for dance performances and speeches. This was top of her wish-list and should be completed in early 2019 by local craftsmen. With some £80 left over, we were able to buy art materials in Nablus. Big smiles all round. On an equally positive note, we were able to contribute to Burin Community School’s newly formed school orchestra. 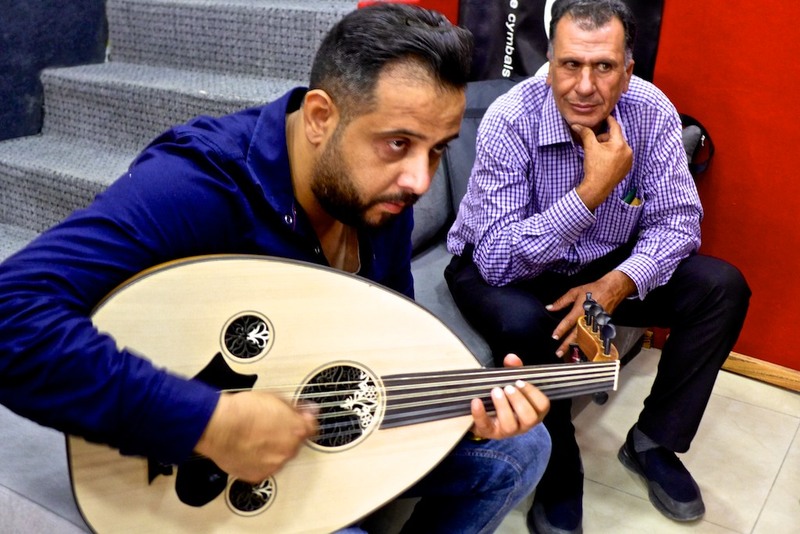 Three trustees accompanied the newly appointed music teacher, Ihssan Foqha (an accomplished oud-player) to a well-stocked music shop in nearby Huwwara armed with a list of desired instruments and prices. 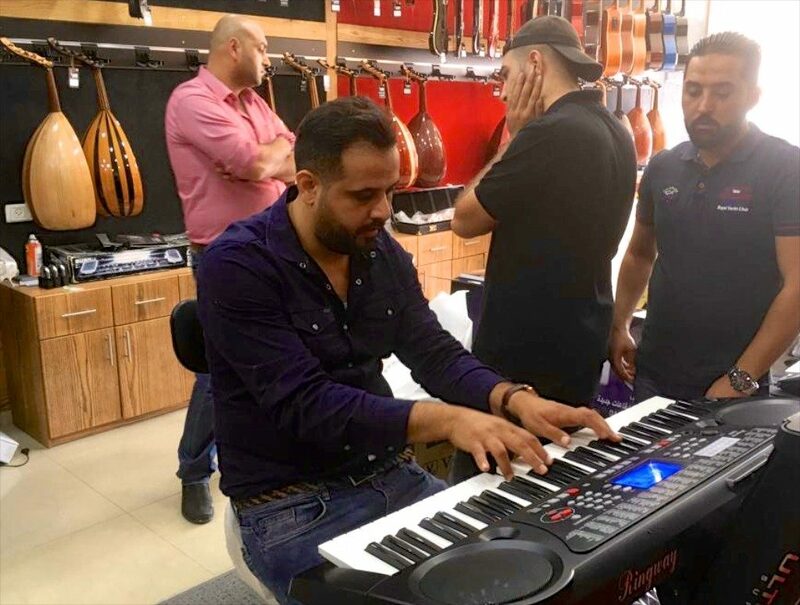 The two-hour shopping-trip was aided by Ihssan’s brother, a professional musician, who had come from Jericho to help. 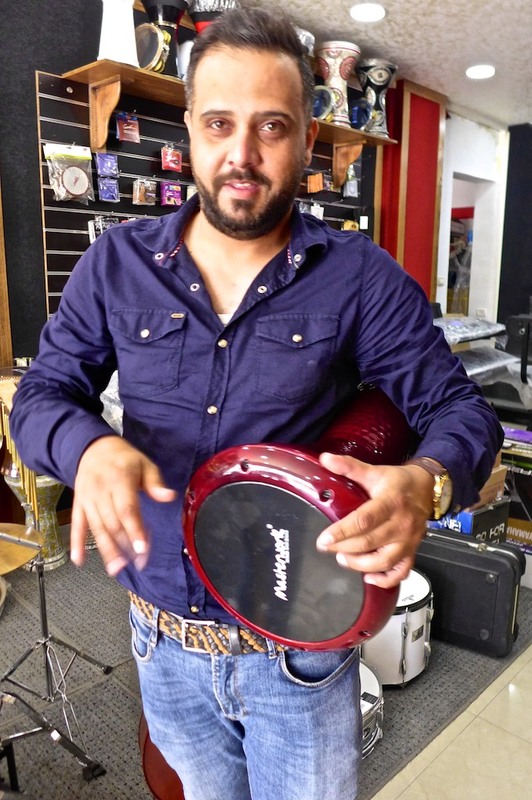 The final selection included a Yamaha keyboard with stand, two ouds, a guitar, tabla, xylophone, drum-kit, plus other drums and tambourines, totalling just over £1500 – with a discount. 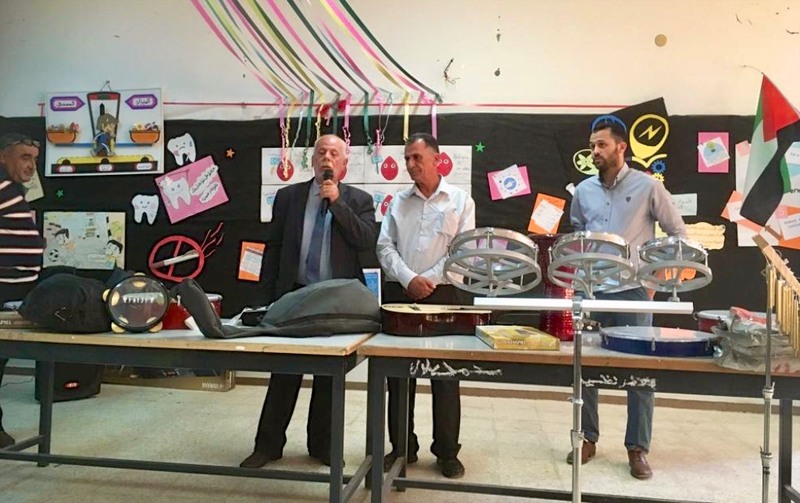 Two days later, some of us witnessed the first music class in a newly created Music Room at the school – officially inaugurated a week later with a representative from the Ministry of Education. Speeches, flags, laughter, dancing and music made it a memorable occasion and OHT representatives were given an impressive ‘thank you’ plaque from the school. This was all visible (and instant!) 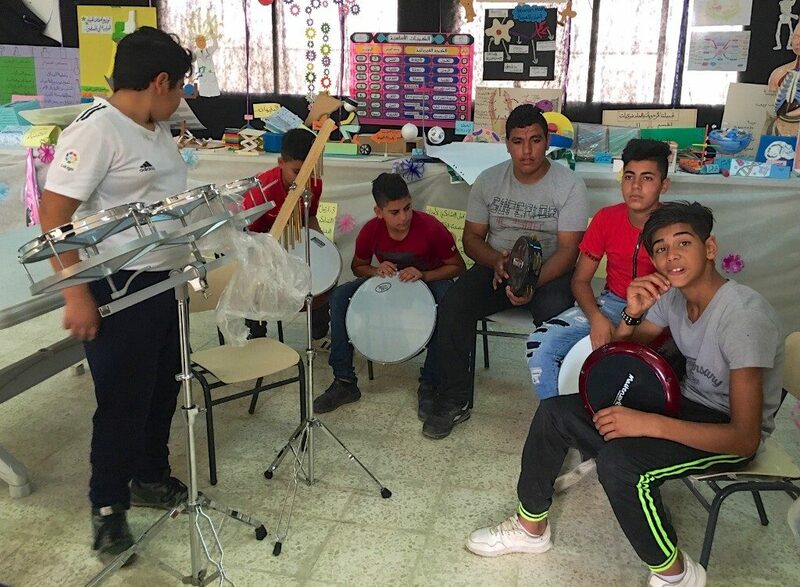 proof that music is a wonderful therapy for these children and a means of bringing them together creatively and joyfully. Madama Boys’ School was again supported. 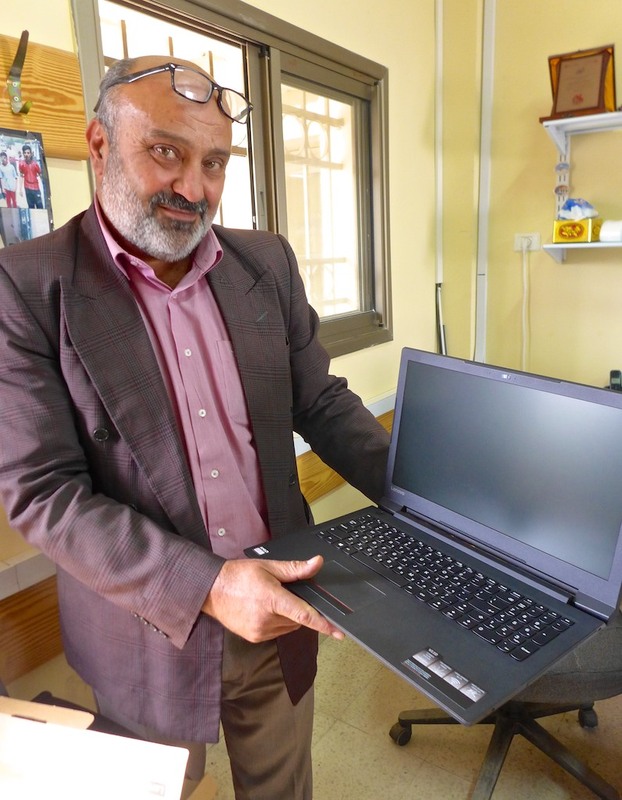 Trustees delivered three brand new laptops (bought locally in Ramallah) to Ayed Al-Qot, the headmaster. 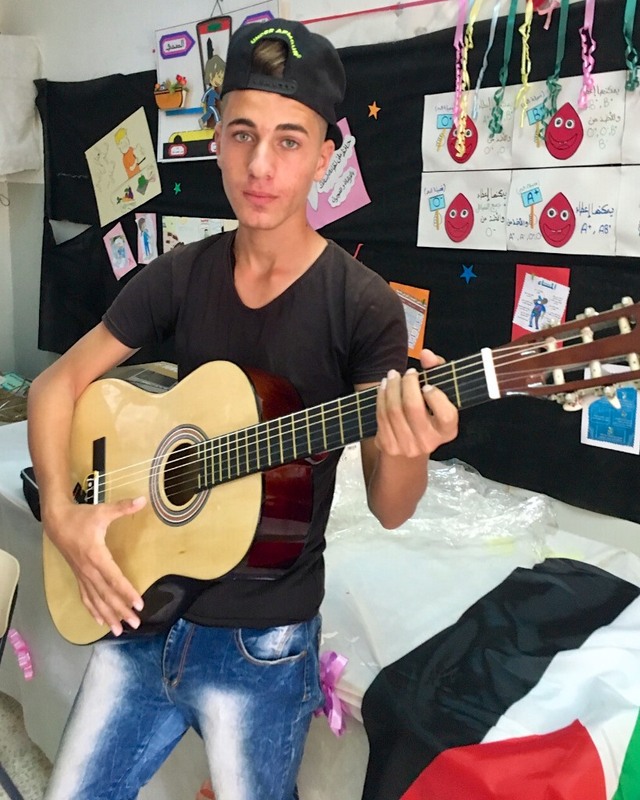 Again they were hugely appreciated as funds from the Palestinian Authority do not stretch to such ‘luxuries’. These will be used by teachers to prepare lessons and research. English language books – delivered! 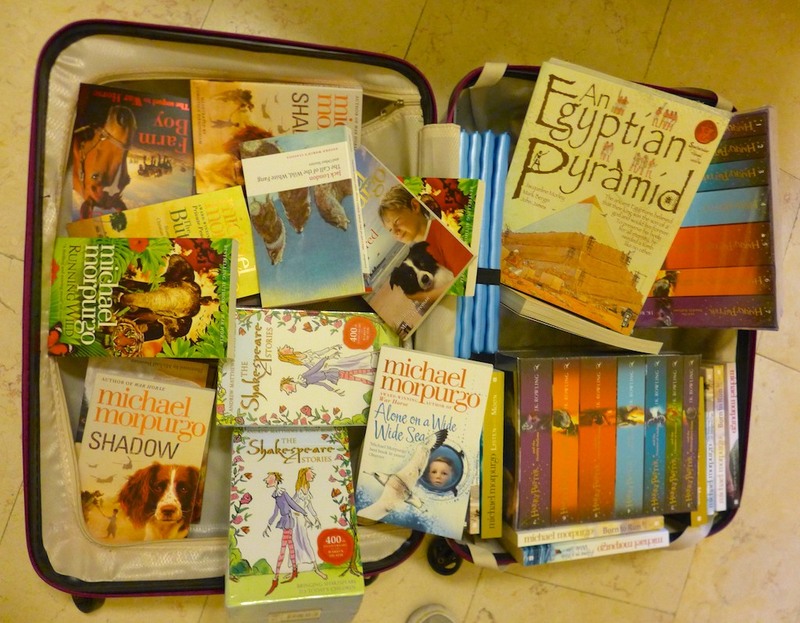 The OCTOBER 2017 harvest trip also saw a hand-delivery by trustees and volunteers of dozens of brand new English books for adolescents. The eclectic selection ranged from Michael Morpurgo to Shakespeare and JK Rowling’s Harry Potter. 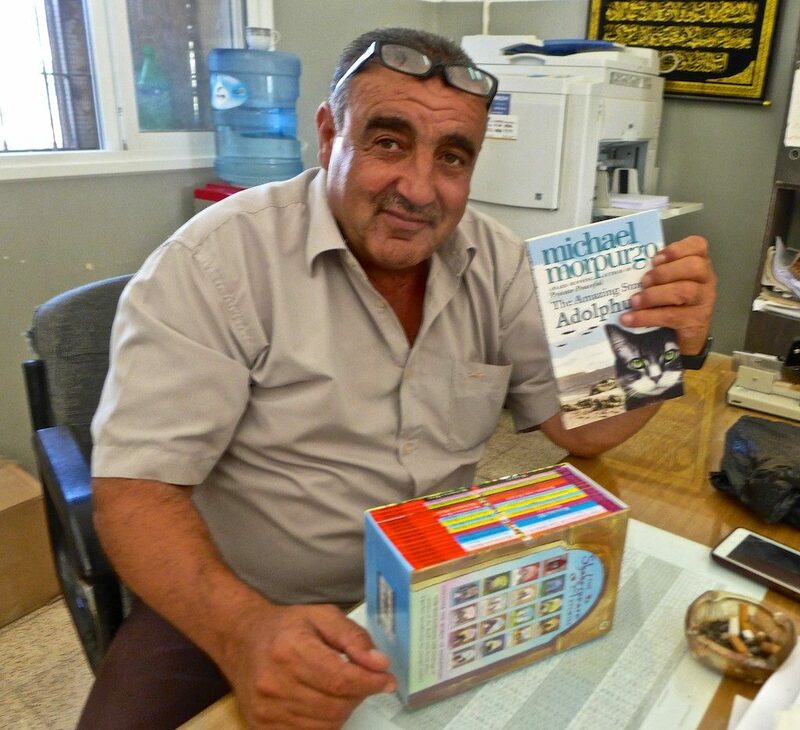 The Burin Community School’s English teachers, Mounir and Feras, were thrilled to have such quality books in pristine condition. 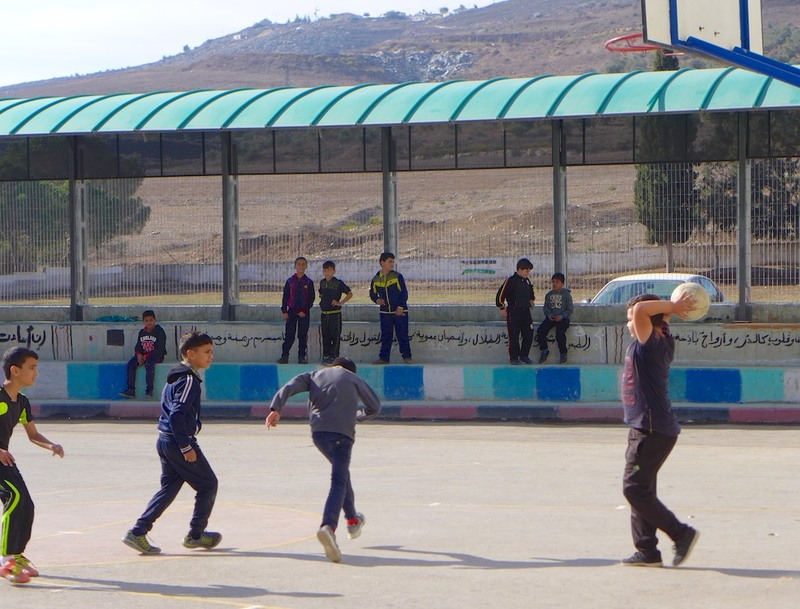 It was agreed to help fund a second awning on the other side of the playground (following the 2015 contribution). This was completed in January 2017 at a total cost of £6,000, about two-thirds of which came from the OHT. It was constructed by local craftsmen, so adding to the local economy. 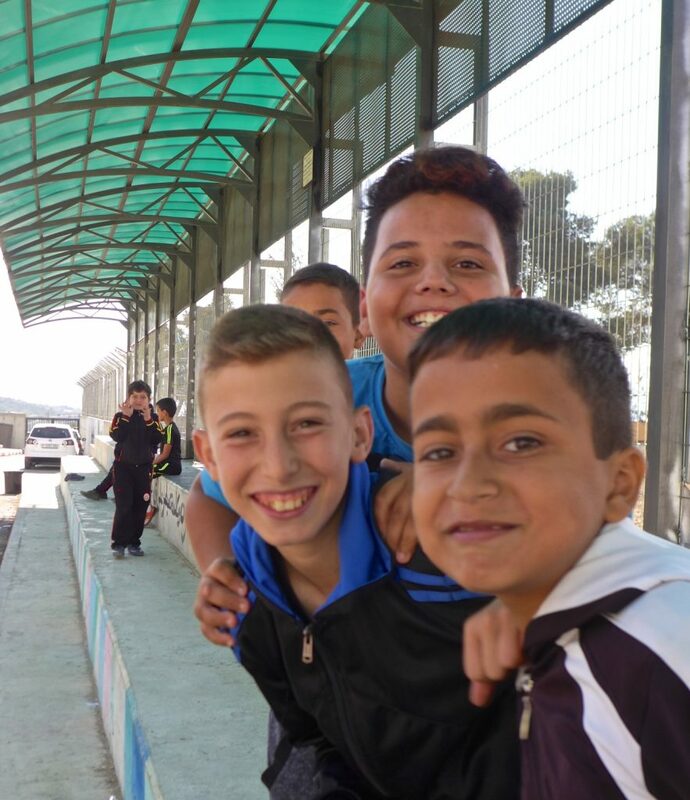 The location of the awning between the playground and the football pitch makes it ideal for sheltering spectators during matches and students during break times – rain or shine. 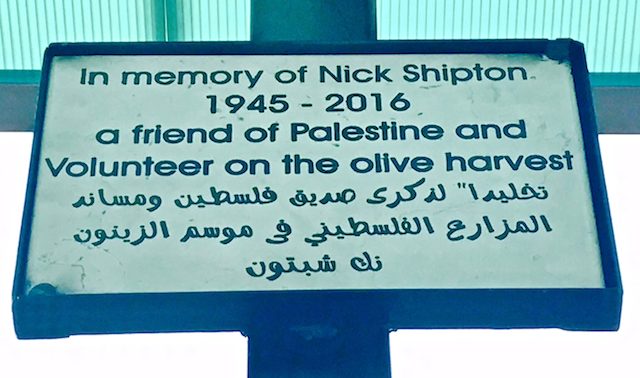 A plaque was attached in memory of Nick Shipton, a regular volunteer harvester, who died unexpectedly in the UK in 2016. Burin Community school playground and OHT-funded awning. 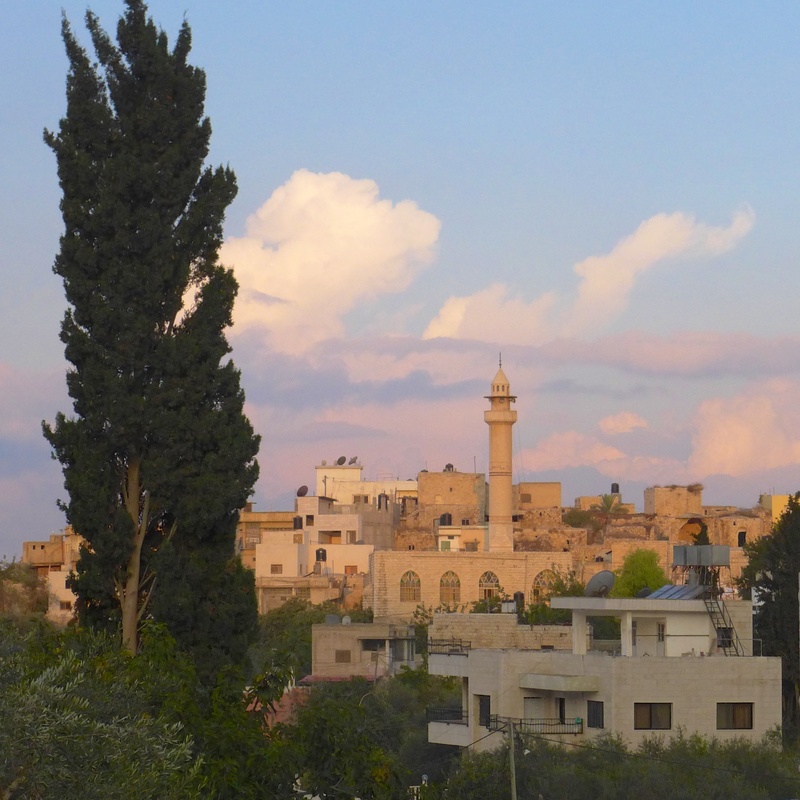 The illegal hilltop settlement of Yitzhar is visible behind. Trustees visited the Burin Community School to meet the headmaster, Ibrahim Oman (better known as Abu Ameer). 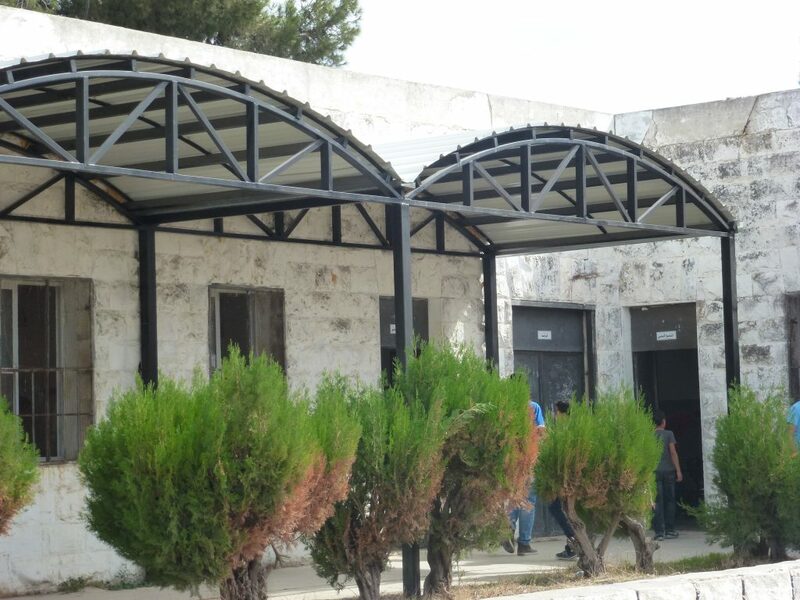 His priority was to extend the weather protective canopy outside the classrooms (as shown below after completion). A section of 10 metres had already been constructed and the Olive Harvest Trust provided £2,000 needed to complete the remaining 20 metres.